As your personal gardener, I can design, install and maintain your outdoor living spaces. Whether you desire a new perennial bed to enjoy throughout the spring and summer months, or want a creative and lush flowering container design, I can create a welcoming outdoor space. I find it mutually beneficial to get to know you a bit over a short phone conversation. During this phone consultation we will discuss your landscape project and what your goals, timeline, budget, and preferences are. To set up your free phone consultation please contact me. The next step in the process is to schedule an initial on-site consultation. At this meeting we will walk your property, discuss what your likes and dislikes are about your garden now, make suggestions regarding layout and design elements, answer any questions you might have (about everything from gardening to the landscape design process) and get to know you a little better. This meeting is a great time to go over any photos you may have of concepts or plants you like as well as view our portfolio of work. Upon design agreement, we will set a budget and schedule a time to begin work on your project. 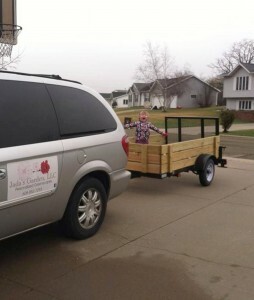 At Jada’s Garden, we also offer tree and shrub planting. I can specially order trees and shrubs just for you! I work with several local growers to provide quality plants at competitive prices. 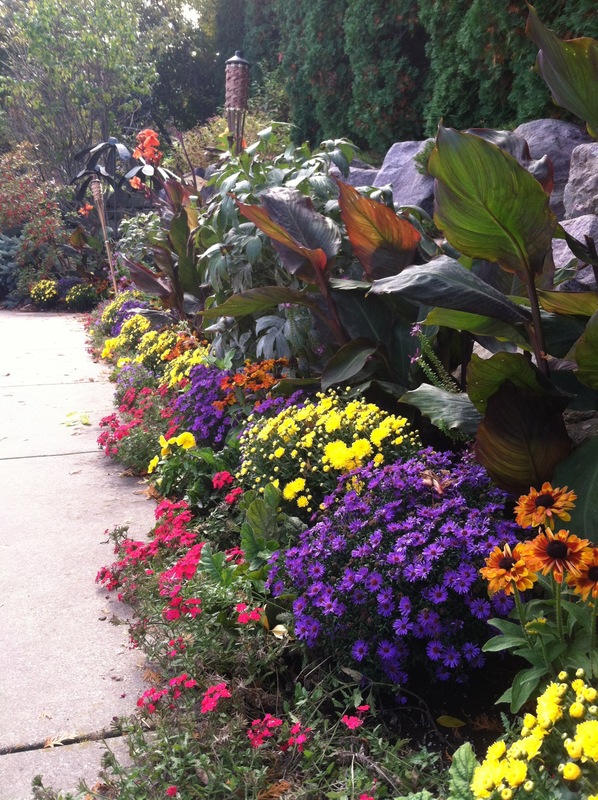 I will personally deliver and install your annual and perennial plant selections. I use new and improved varieties to make your gardens and containers unique and special. Don’t have a lot of space and time for a garden or would like to enhance the entrance to your home? Jada’s Gardens, LLC can design and install a variety of container gardens. Container gardens are a great way to maximize a small space, provide a focal point in the garden, or add a splash of color on your patio or deck. We specialize in creating a one-of-a-kind container gardens, using a combination of textures and colors that will make a dramatic impact to any space all year long. Accessorizing a garden, porch or deck is like decorating a home. How your outdoor space is adorned sets the tone and defines a desired mood. To establish order, focal points are commonly used as part of basic garden design. A focal point is the anchor around which the rest of the garden is created. Containers are equally effective whether planted or left empty. The size and shape of a pot is also important. There are no hard and fast rules when it comes to placement or to the plants you choose for your planters. We like to analyze the sunlight and the overall goal you would like your planter to achieve. A container that’s situated at the center of a landing causes the viewer to pause and enjoy the immediate surroundings. 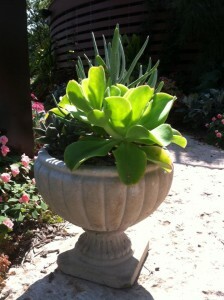 A series of coordinating pots can act as a form of art that enhances your front porch or deck. Ultimately, selecting a container is a subjective personal decision. The right pot in the right place can transform even the most mundane space into something extraordinary. There are several factors to consider when choosing a pot. Color incites the mood; bold hues of yellow or red create drama and excitement, while cooler tones of blue and green are more serene. Selecting a pot with hues similar to a home’s exterior integrates the house with the landscape. There are many styles of containers for one to choose from. I have a large selection of containers ranging from traditional to contemporary. Rotate seasonal plants into containers to reflect the best of the garden and to extend the growing season. 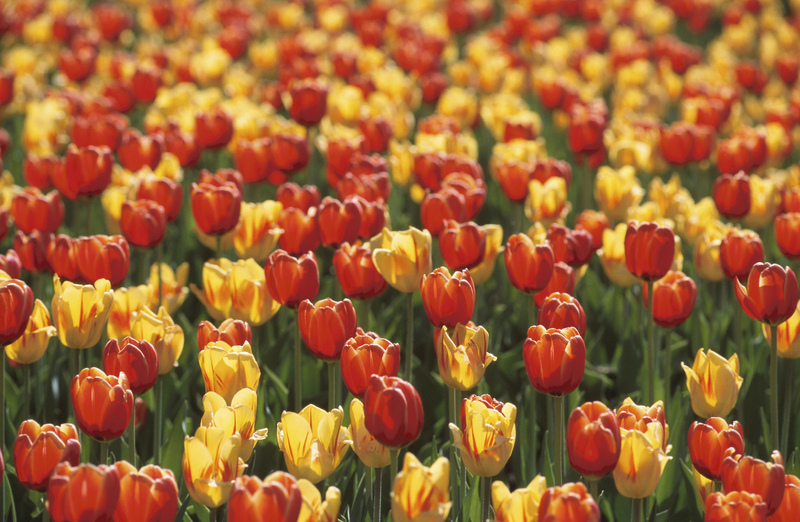 SPRING: We begin your flowering display in the early Spring with planting cool-season annuals or vegetables, along with previously started early bulbs. SUMMER: As Summer’s heat picks up, harvest and replace these plants with warm-season annuals, herbs, vegetables, and vines. FALL: As Fall approaches, switch out again and substitute asters, chrysanthemums, grasses, and decorative items like gourds or small pumpkins. HOLIDAY: While the snow is blowing in Wisconsin, there can be life on your front porch. From evergreen boughs, fragrant firs, red holiday twigs, and even aspen branches, we can create a warm and inviting entrance from the white winter wonderland outdoors. During the growing season, Jada’s Garden offers tree and shrub pruning, along with annual and perennial deadheading and trimming so that your garden will return the following year more robust. 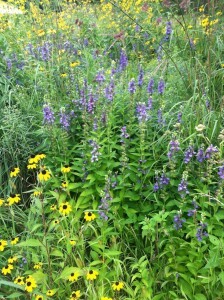 We hand-weed and use chemicals only as necessary with homeowners approval. We also divide perennials in the spring or fall, add fertilizer throughout the growing season, and cut back fading flower heads to keep your garden looking its best. We also can offer weekly, monthly or scheduled maintenance for your garden and containers. The schedule is completely up to you. 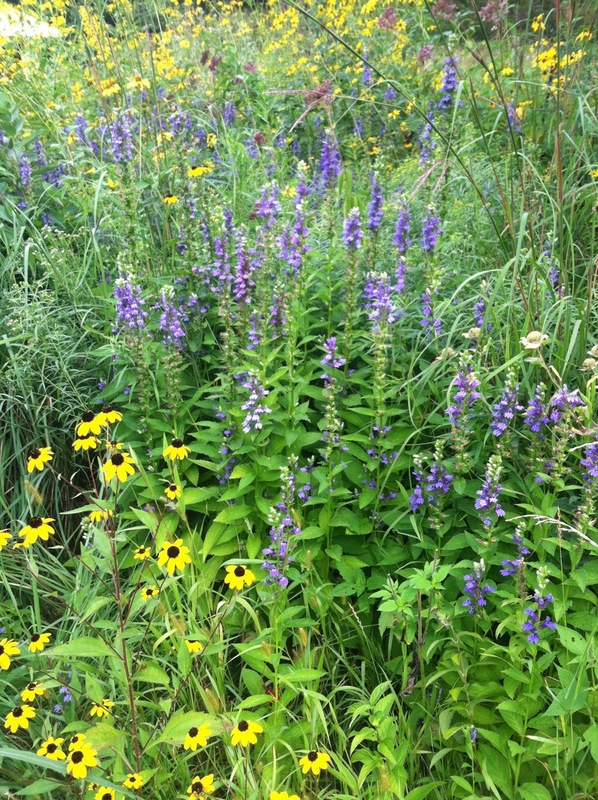 Jada’s Garden can help you manage all aspects of your prairie, wetlands and woodland gardens. Your newly installed garden must be cared for and maintained to ensure that it will grow and continue to thrive. If you would like to maintain your own garden, we can create an individualized maintenance plan for you. This is perfect for that Sunday gardener, who may not have time for the complete garden installation or clean-ups but would like to be a little involved in the maintenance of their garden. The biggest mistake people make is not planting enough bulbs. We’ll advise you on the type and quantity of bulbs to order as well as what bulbs are animal resistant. 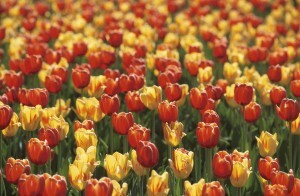 I work with the Netherland Bulb company, a wholesale supplier of premium Dutch bulbs. Spring: During April and May spring cleanup, removal of all old growth can be scheduled. Spring containers are planted and mulching is completed. It is also time to start planting perennials, shrubs, trees, and small fruits. Grass seed sowed at this time of year provides the best results. Cool season vegetables can also be direct seeded in your veggie garden. Summer: Mid-May through Mid-June. This is the time to plant your summer containers, annual bed plantings, weeding, maintenance, My summer garden Party design class is also in mid-May- Bring your own container and revamp your containers with splashy color that will last all summer. Our on-hand experts will help you choose plants and add the proper soil amendments to make your container last through the summer season. Fall: Early September is the best time to plant your fall containers with mums, cabbages, kales, chards, and other cool season plants. Sowing grass seed after September 15 and before October 15th can be done with success too. 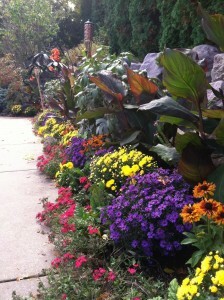 Fall cleanup begins in early October, and spring bulbs can be planted in early November. Holiday: Holiday decorating open house. Come join us for a day of winter container decorating. I will help you design winter containers featuring evergreens, winterberries and other cold tolerant decorations.